Can I rent your farm for the whole weekend? Yes! The Countryside Weekend Package provides 3-day use of the Farm from noon on Friday through noon on Sunday. With this package, you have access to the entire property for all of your wedding-related events, including a rehearsal, rehearsal dinner, wedding day, bridal tea, and, after it’s all over, a “just married” brunch. It also includes use of the farm’s lovely inn as a bridal suite for the bride and her wedding party to get ready, plus a 2-night stay for up to 8 guests. The Full Countryside Weekend Package costs $10,950 plus tax. For a printable pricing guide and full amenities list, click here. Is your farm available for just a single day rental? Yes! We have two single-day event rental options. The Single Day Package offers 9-hour access to the farm, while the Extended Single Day Package offers 12-hour access to the farm. Both packages include exclusive access to the property, plus a one-hour rehearsal the evening before your wedding, if the farm is available. Additional hours can be purchased to extend your rental period. The Single Day Package costs $6,950 plus tax on Saturdays and $5,950 plus tax on Fridays and Sundays. The Extended Single Day Package costs $7,950 plus tax on Saturdays and $6,950 plus tax on Fridays and Sundays. For a printable pricing guide and full amenities list, click here. Yes! We are so proud to support our armed forces and offer a 10% discount on event rental fees for active duty military and wounded warriors with a valid military ID. How do I reserve the farm for my wedding? Easy! All it takes is a signed contract and 50% down to reserve East Lynn. The remaining 50% is due 90 days prior to your big day! Contact info@eastlynnfarm.com to start the process! Can I have my ceremony, cocktail hour, and reception all at the farm? I’d love to have an outdoor ceremony and an indoor reception! Yes! East Lynn Farm spreads over 140 acres with many locations for your events, including both levels of our historic dairy barn, our pole barn, and countless outdoor spaces. At our farm, you can have your ceremony, cocktail hour, and dinner reception all on site outdoors, indoors, or a combination of the two! Will there be other events on the property? No. Your event will be the only one! When you book East Lynn Farm, you receive exclusive access to the property during your rental window to ensure your privacy. Yes! East Lynn Farm sits on over 140 acres, giving you unlimited options for pictures. Our organic vegetable and flower garden is a favorite of wedding photographers, but the pastures, the pine grove, the barns, and the pond are all quite popular, as well. You can see photos from weddings at the farm on our website, Instagram, and Facebook. Are there any inclement weather options in case of bad weather? Absolutely! We have several indoor areas, including the upper level of our dairy barn to take advantage of our scenic vistas, the lower level of our dairy barn for a lovely mid-century industrial atmosphere, and our pole barn for a rustic blank slate to customize for your event. We want your big day to go smoothly, regardless of the weather, so we work with you ahead of time to make sure there is an inclement weather plan in place. Are tables and chairs included in your rental packages? Yes! Tables (round and rectangular available), wood Chiavari reception chairs, and white wooden ceremony chairs for up to 160 are included, plus several wooden bars and a 15′ x 15′ wooden dance floor. 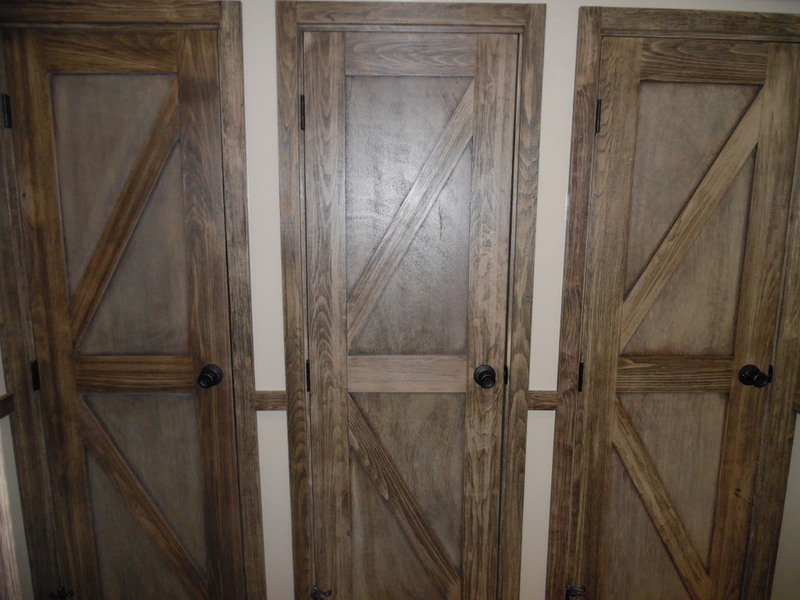 Do you have a dressing room for the bridal party? Our milk chapel is a great place for the bridal party to get ready and is included in all of our packages. The bridal suite in our Farmhouse Inn, along with the rest of the Inn, is included in the Weekend Package and is available as an add-on to the Single Day and Extended Single Day Packages for $395. Yes! Our barn complex parking lot can hold up to 45 vehicles. If your car count, including guests and vendors, exceeds 45 vehicles, you should either direct guests to our field parking, which can accommodate an additional 75 vehicles, or secure a shuttle. Do you provide catering? Do I have to choose from a list of preferred caterers? We do not provide catering and allow our couples the freedom to hire the caterer of their choice. We offer a list of our favorite vendors as a courtesy to our clients, but you are not required to hire a caterer from that list. Can I bring in my own alcohol? Is there a corking fee? You’re welcome to bring in your own alcohol, but it must be served to your guests by a licensed bartender or catering company. There are no corking fees! Can I get my engagement photos taken at the farm? Yes! We love it when our couples have their engagement photos taken at the farm. It’s a great way to give your guests a preview of your big day! Can I have a rehearsal at the farm the day before my wedding? Yes! A one-hour rehearsal the day before your wedding, if the farm is available, is included in all of our packages! Plus, the Weekend Package includes the ability to have your rehearsal dinner at the farm! Can my vendors tour the farm ahead of time? Absolutely! We highly recommend showing your vendors around the farm in advance to let them get the lay of the land! A one-hour walk-through is included in all of our packages. This is also a great time to check out the décor rental items we have available! Yes! 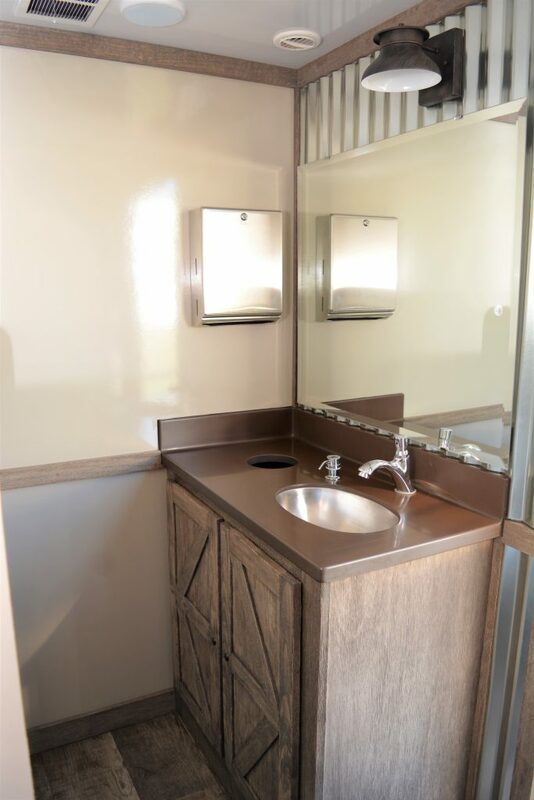 Luxury restroom trailers with unique barn-style interiors and rustic plank floors are included in both event rental packages. They are climate-controlled and equipped with china fixtures, LED recessed lights, soap and paper towel dispensers, and glass mirrors. 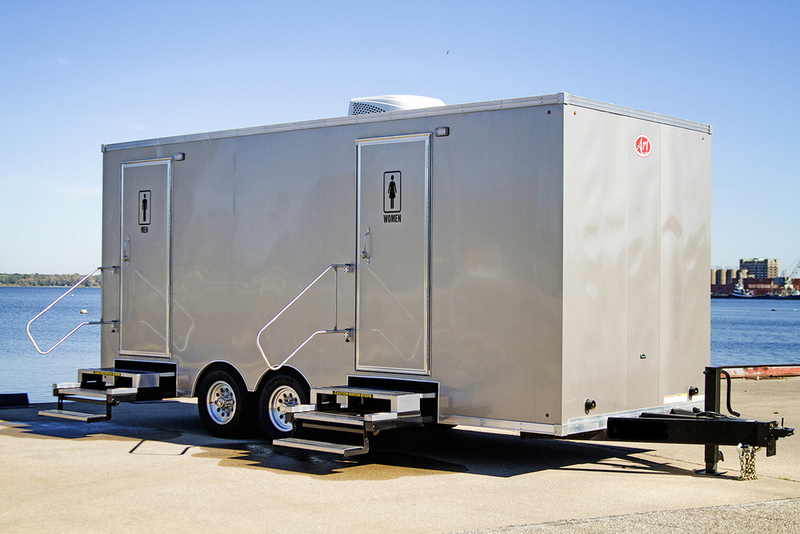 Handicapped-accessible restrooms are available, but arrangements must be made directly with our vendor. Here are some photos: exterior, interior, sink area. No, but our barn is equipped with commercial ceiling fans and Juliet balconies at either end that bring in the fresh country air, create a nice cross-breeze and fill the loft space with lots of natural light. We can recommend a fantastic vendor that offers air conditioning units and heaters faced in wood to match our barn, if you’re interested. Our outdoor areas can accommodate up to 350 guests, while our barn can accommodate up to 170 guests for a seated dinner with a dance floor. Yes! The Inn at East Lynn is available for guest accommodations and sleeps up to 8 people, Comfort Suites and Airwell B&B are right around the corner from East Lynn Farm. Check out our Preferred Vendor List for some other local B&Bs and hotels that we recommend. In the event of a cancellation, the event rental fees are non-refundable. If you’re interested in changing the date of your event, please contact us in writing at least 30 days prior to your event, and we will work with you as best we can to change the date. What is the damage deposit for the farm? Is it refundable? There is a $500 damage deposit for all events. The damage damage deposit is refundable. There is a $375 Reception Set-up Fee for setting up tables and chairs according to your desired floor plan and a $375 Site Maintenance Fee to help keep the farm in tip-top shape for your wedding day. Can your barn accommodate a live band? Yes! Our farm can easily accommodate both live bands and DJs! We require all our couples to purchase event insurance in an amount of at least $1,000,000 with East Lynn Farm listed as an additional insured party. You must provide us with a certificate of insurance 90 days prior to your event. This insurance is separate from and in addition to insurance provided by the licensed caterer.